“Main To Raste Se Ja Raha Tha , Main To Bhelapoori Kha Raha Tha”. Pork Sausage Chilly/Goan Chorizo (Goa): A year-round travel destination, Goa attracts millions of visitors every year. An excellent range of Goa outdoor activities combined with delicious street foods gives numerous reasons why you should come and explore Goa. Portuguese chourico is a must try. It is prepared with pork, wine, garlic, salt and paprika. This pork sausage tastes the yummiest when these ingredients are well-stuffed. Chhole Bhature (Delhi): If you happen to be in the Indian capital, chhole bhature is a definite try. Served hot, bhature is filling and yummy. Enjoy it with chhole – for that you need to develop an appetite. Chaat (Delhi): Chaat is a north Indian staple, believed to be originated from the kitchen of Shah Jahan. One of the mouth-watering delicacies, chaat can intrigue any food lovers for its crispy, sweet and spicy flavours. 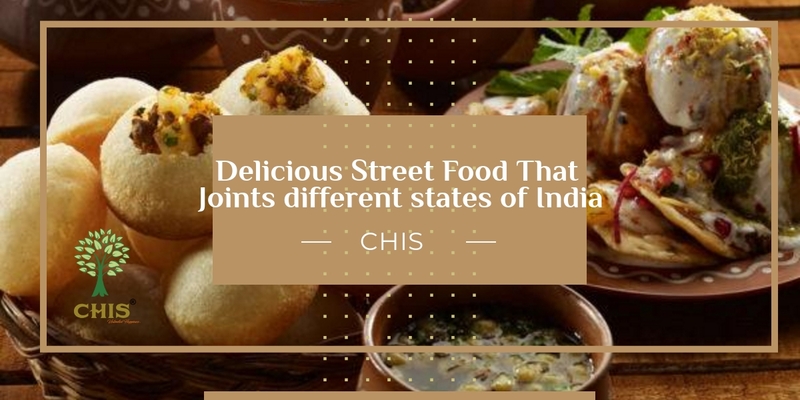 Some of the popular chaats available in many cities across the country are papdi chaat, paani puri, bhel puri, dahi puri, etc. Kothu Parotta (Tamil Nadu): Originated in Virudhunagar, kothu parotta is available in various types. They are egg parotta, kotthu parotta, plain parotta, veechu parotta and chilli parotta. The dish is prepared using parotta, salna, meat, egg and sauce (spicy). Put on a hot iron pan lubricated with oil, these ingredients are well-minced by an iron spatula. While mixing and mincing, the sound can be heard from a distance. Once ready, it will be served with salna gravy. Momos (North-east India): Not only do the residents of India love this delectable street food, but also other South Asian countries like Nepal, Tibet and Bhutan have a great craving for momos. This South Asian dumpling is massively popular in the Indian states like Arunachal Pradesh, Assam, West Bengal and Sikkim. 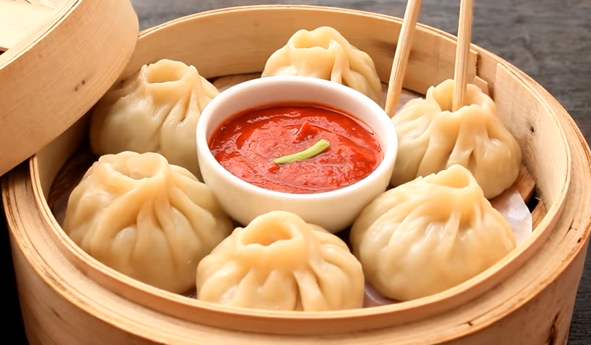 Momos can be synonymous with Korean mandu, Japanese gyoza, Chinese baozi and jiaozi and Mongolian buuz. Ghugni (Odisha): If you have to try ghugni, prepare idli as well. Particularly in Odisha, idli and ghugni make the best combination. Ghugni is made in dried white peas or yellow peas and black gram cooked with gravy. Did your tongue water? The finger-licking street foods will tantalise your taste buds and will make you return to this beautiful country time and again. Country Holidays Inn & Suites can host you a great holiday deal in India.